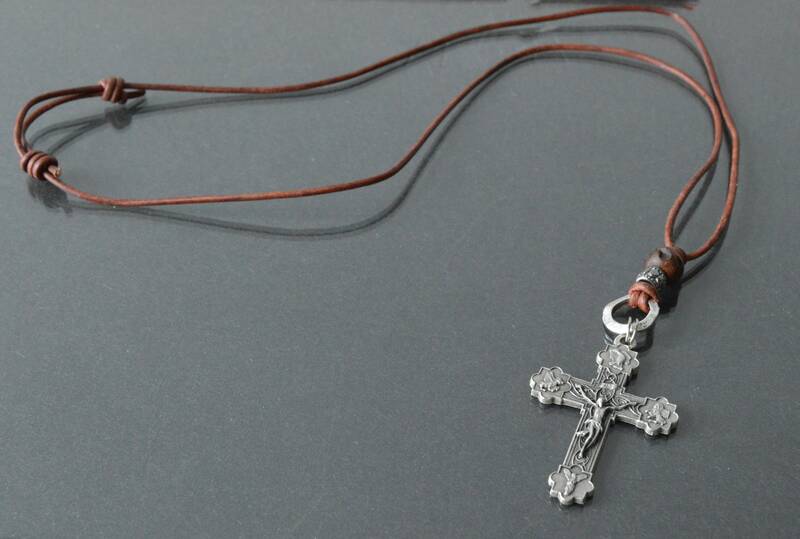 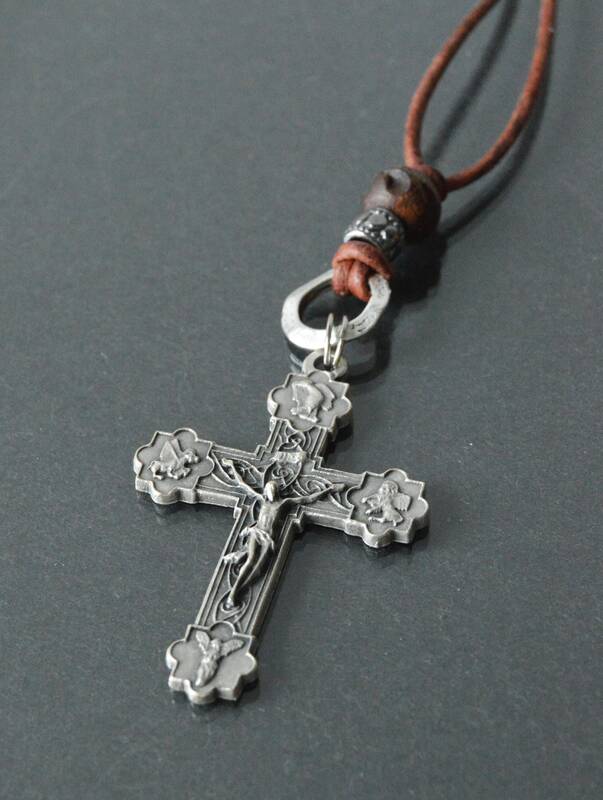 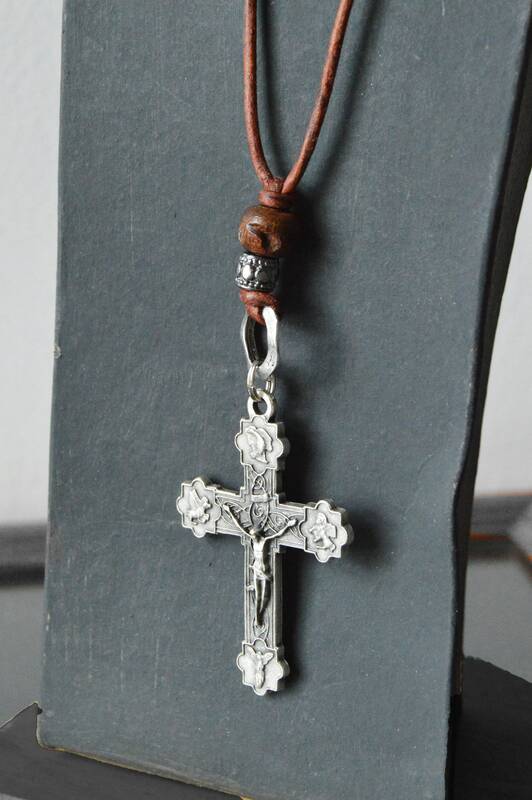 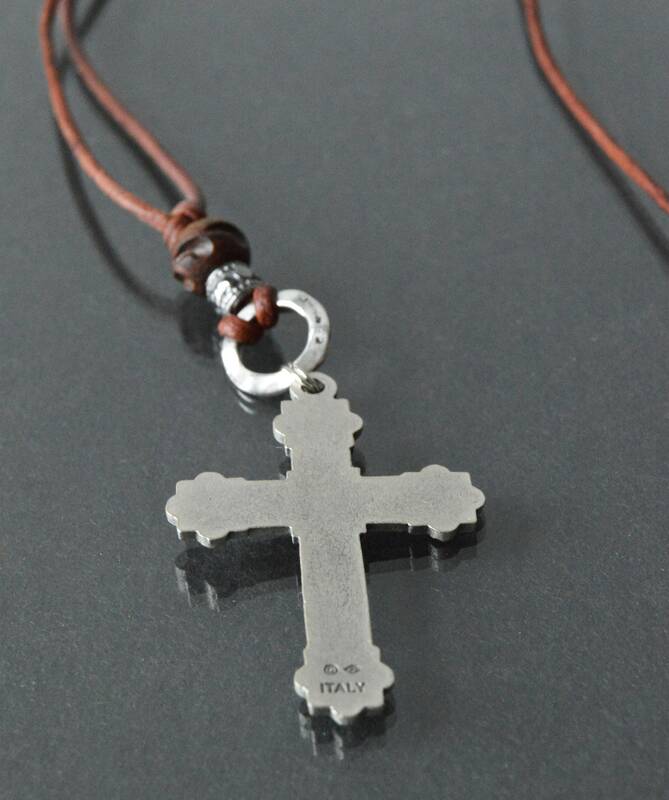 Simple men's jewelry in a soft brown leather Catholic necklace featuring a large ornate antiqued silver finished cross. 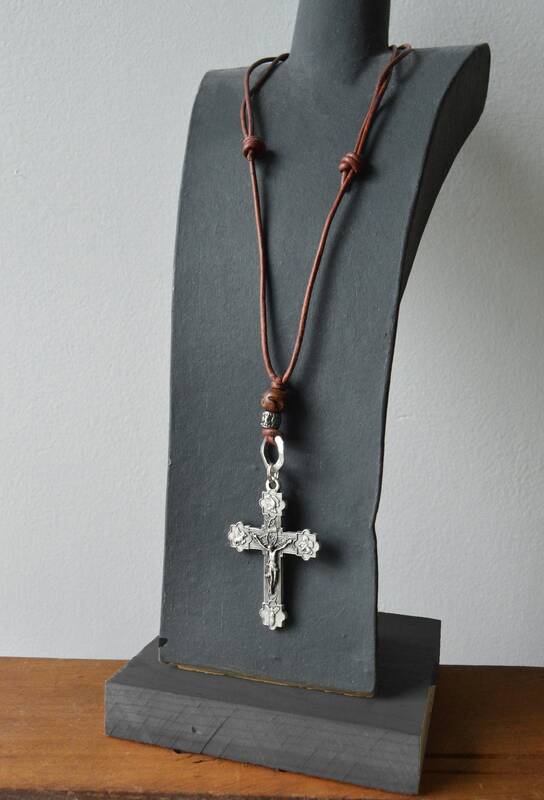 A blend of traditional and contemporary design. 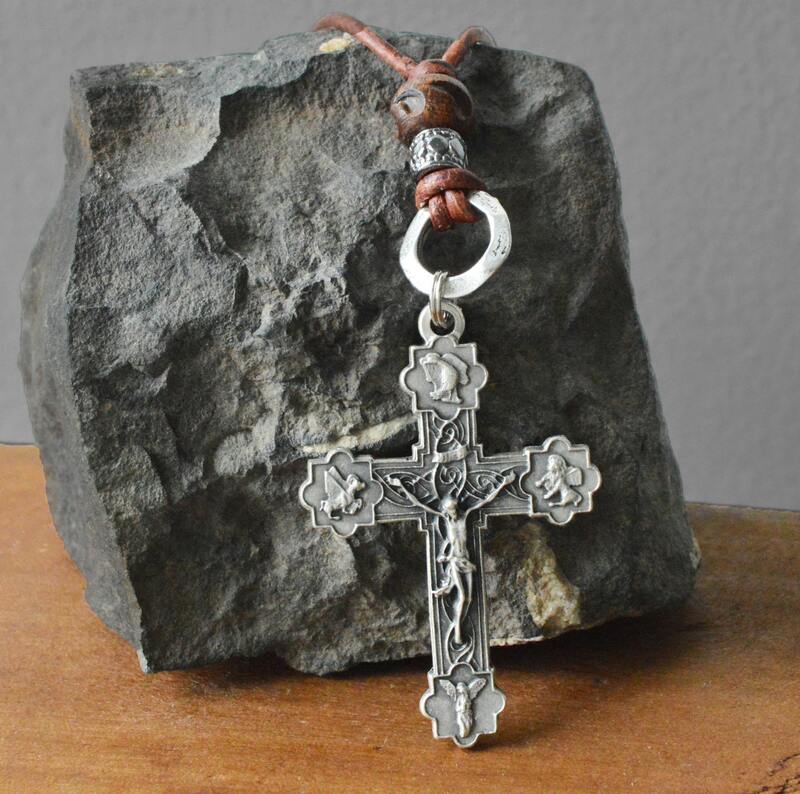 A soft leather cord leads to a rustic carved wood bead and an antiqued silver bead accenting the cross with an antiqued hammered silver finished ring. 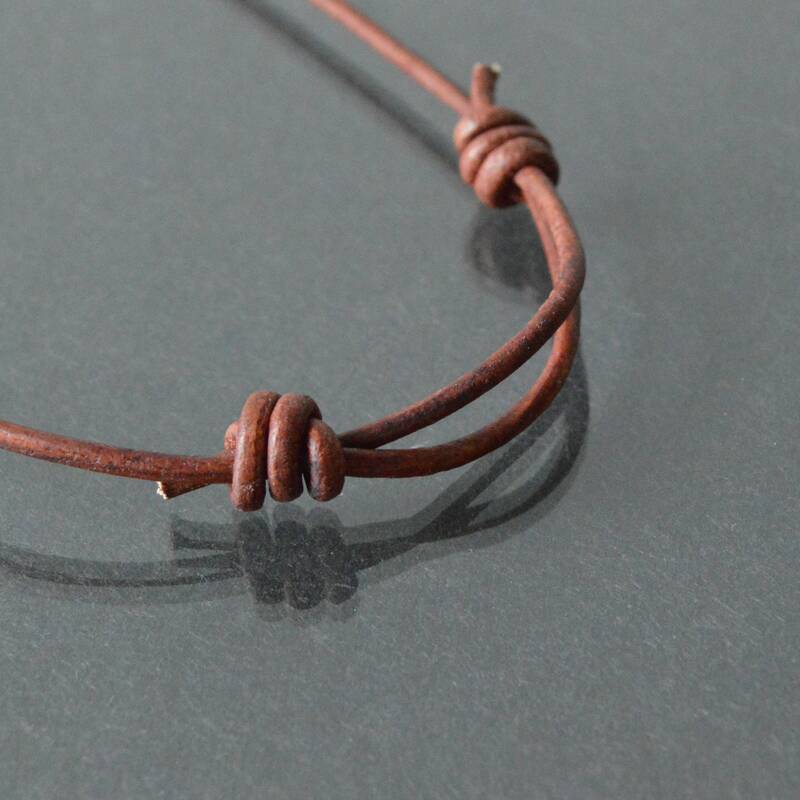 Adjustable slip knots creates a length from 20 inches to 38 inches approx.